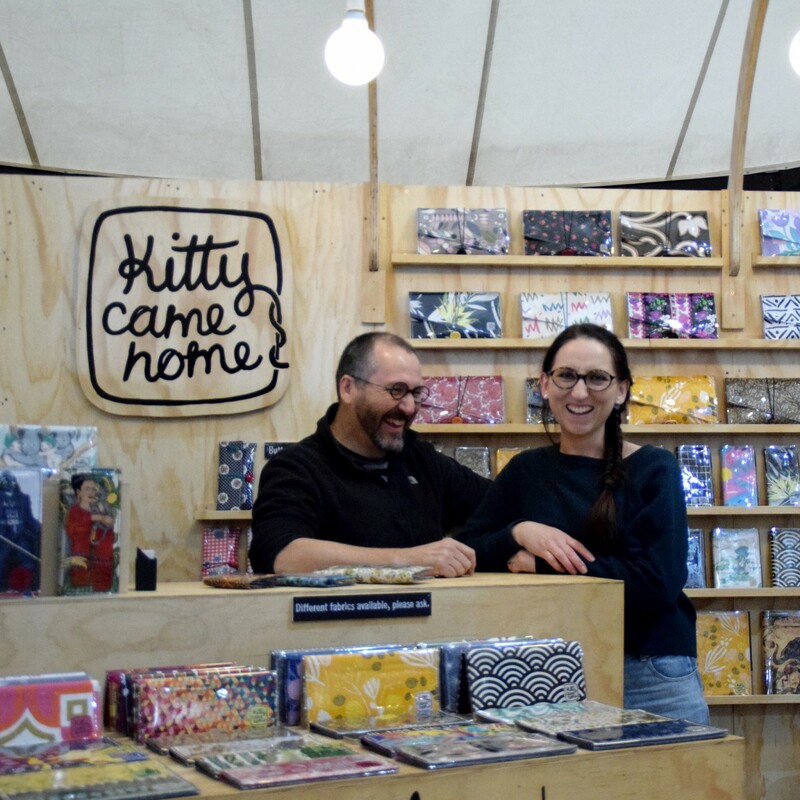 In part two of our Design Markets toolkit we caught up with Katrina Weber and Farley Wright who, together make up the fabulous Kitty Came Home. Design Markets are a large part of their brand’s business and we wanted to know how they do them so successfully. Can you tell us a little about Kitty Came Home?  We (Katrina Weber and Farley Wright) are full-time designer markers for our brand ‘Kitty Came Home’. 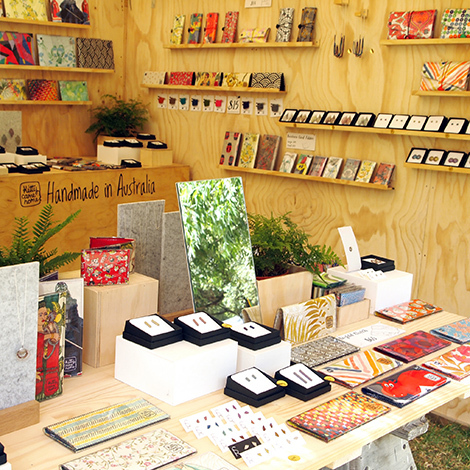 We design and hand-make purses, wallets and accessories in our home in the seaside town of Goolwa in South Australia. Katrina began Kitty Came Home in 2004 and Farley joined fulltime in 2011, following which participation in national Craft & Design markets has become our major point of customer contact. Katrina is the visionary and powerhouse of Team Kitty. Sourcing, cutting, ironing, and sewing fabric and mailing Kitty orders are big themes in her day. Other times Katrina is designing, cutting, shaping and burnishing precious metals (she’s a qualified contemporary jeweller). 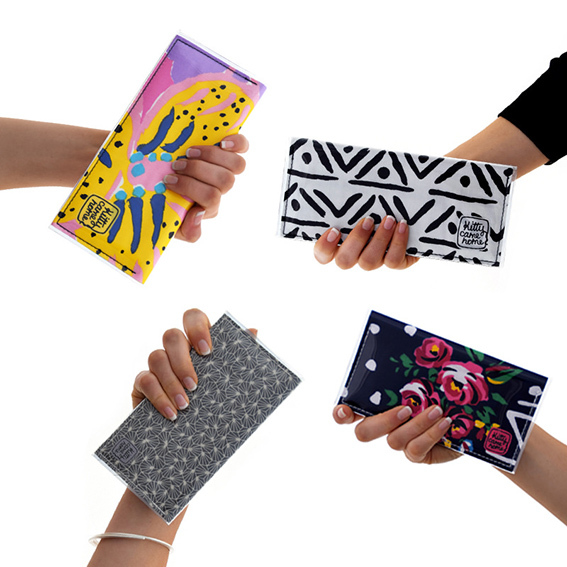 The extent to which we enjoy working together is reflected in the fact that it takes a happy choreography of all four of our hands to make one of our bi-fold clutches. Why did you first sell at a design market? It was an exciting opportunity to sell directly to the public and to meet customers face-to-face. 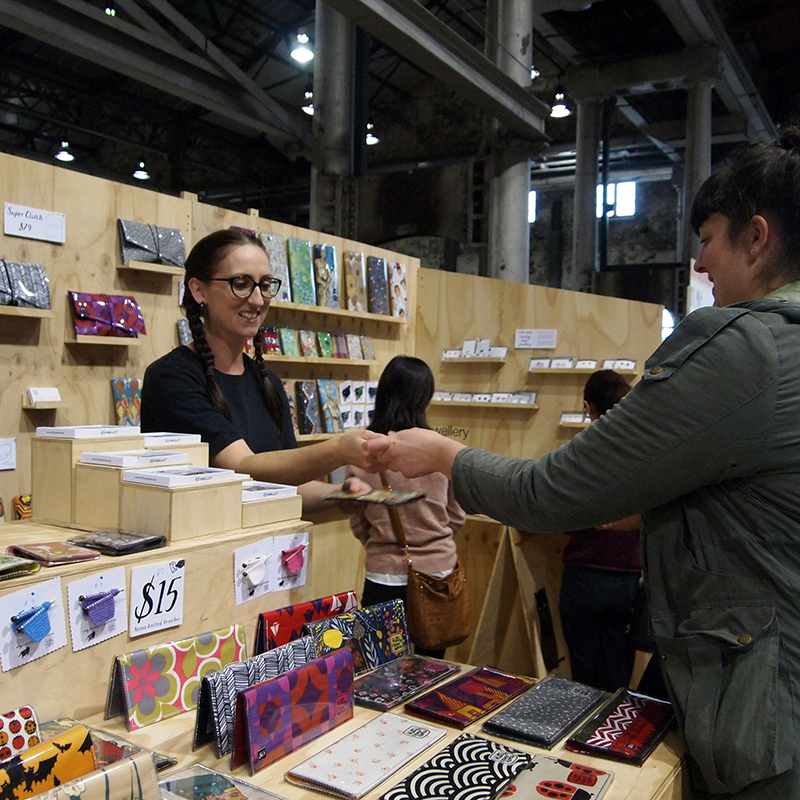 Katrina’s first Design Market was Finders Keepers in Sydney in 2009, followed by Bowerbird in Adelaide in 2010. Why are design markets such a large part of your business and how does it complement the other ways you sell your work? Design Markets have come to form the largest component of our sales. This has been made possible because of the high standard of available events able to draw large customer numbers. Participating in these markets enables us to introduce our products to interstate customers and to build our customer bases in those locations. Those sales then support our online sales. Our market presence also provides us with regular wholesale approaches. How do you determine the best market for your work? It’s important to protect your brand’s value, and thus we tend to only do markets that have a standard which we believe will best support our brand identity. We tend to focus on multi-day markets as the time and effort involved to apply for and attend a market has to justify taking us away from making products. What do you always include in a market application? The major markets have very well developed application processes, so there’s little room for doing more than completing the form. The most important thing is to not miss an application deadline. We consider each market application the equivalent of a job application and so we do our very best to ensure there are no errors. We’ll provide our best product photographs (fresh images every time), and stick to the word limit when describing our brand and products (respecting that the people considering the applications have a large and difficult task to complete). Even as successful repeat stallholders, there is no room for any sense of entitlement – we’ll always strive to earn our selection for any market, and then reward the market management by showing up to the event with the best stall display that we can manage, lots of beautiful stock, and a friendly and professional attitude. What makes a successful market for you? It’s important that a market can bring enough customers through the door. Thus a successful Design Market needs to have a well developed marketing plan. We appreciate markets that strive to provide an experience for the customers. If customers enjoy a market space and can break up a big day’s shopping with some good food and coffee they’ll shop for longer and be happier and that directly supports our sales. It’s also appreciated when a market has thought through the logistics of access for load-in and load-out and that they provide adequate time for setting up. We also appreciate markets that provide a floor plan prior to the event. An important part of a successful market for us is our neighbouring stalls. Where possible, we try to make contact with our neighbours prior to the event. This helps to avoid potential surprises or misunderstandings during set up and gets neighbourly relations off to a friendly start. Given that we’ve driven as much as 4,000 kilometres (return) to attend a market, dodging kangaroos and getting home alive is its own mark of a successful market for us! How much stock should you take or is there a way to estimate how much stock you might need? There is no easy answer for your first market. If you believe in your product, dare to have ‘more than enough’ stock on hand. It doesn’t all have to fit into your stall space – extra stock can be outside in a vehicle, while some of the larger markets provide areas for stallholders to keep spare stock. If you are applying for your first market, hopefully you’ve been to some markets to observe and learn beforehand and from that experience have gained an idea of how much customer traffic you may expect. Imagine how many items you may sell an hour and multiply that by the number of hours that the market is open to get a sense of the amount of stock you’ll sell. You then need enough extra stock to keep your display full through to closing. Can you talk a bit about merchandising a stall (how much signage is too much, what props/stands work best on a stall)? Your products will change or evolve over time and thus you need clear brand identification to ensure that loyal customers can recognise you over time. Ensure that customers at your stall can see your brand name and logo. It’s best to have clear signage behind and above you so that people at a distance can see and identify your stall over the heads of your crowd of enthusiastically buying customers. Too much signage is when your signage is taking over valuable selling space. You want customers to know who you are, but that shouldn’t crowd out your sale items. What prop to use is highly dependent on what products you are selling, but be aware that everything about your stall is saying something about you, your brand and your products. Ensure that your stall is as professionally presented as possible and at the very least clean and tidy. Be aware of your customer’s field of vision. If you’re selling tiny, detailed items, it might be worthwhile displaying those items at a greater height than normal to make it easier for near sighted customers to appreciate your product. Many customers will wish to avoid early eye contact with you, so you’ll want your main sales items to occupy the space somewhere between the lower front of a stall table surface and your shoulder height. If those products gain the customer’s interest, you can then introduce and direct them to other items that you may have located elsewhere; i.e., higher on the wall surface behind you. Imagine how many items you may sell an hour and multiply that by the number of hours that the market is open to get a sense of the amount of stock you’ll sell. You then need enough extra stock to keep your display full through to closing. How do you promote your presence at a market and what role does social media play in your promotion? Social media dominates how we promote our presence at any market. Market managers provide material for posting and reposting, and we will create our own content. We’ll post items on new products and fresh variations, departure preparation, items about our interstate travel, images from set-up, during the event, and a thankyou post at the end. Alongside social media promotion, we include printed event promotion material in any online sales deliveries to areas where we have an approaching market. Any other tips for first time stallholders? Research the market online before applying. Look at any online images of the event that you can find in order to gauge customer numbers (note that no market is going to post images of their market at its quietest, so you’ll likely be seeing ‘maximum’ customer density). Those images should also give you some sense of the likely customer demographic that will be approaching your stall. Are they your target customer, or may they find your product too challenging or too expensive? Those images can also give you some sense of the expected standard of stall display. If the stall you eventually take to market ends up looking very sad compared to its neighbours, your chances of getting into that market again may be diminishingly small. If there are no social media images of the market available online, ask yourself how that market is going to be effective at providing adequate customer numbers? Be prepared to work hard! Preparation and travel beforehand will in all likelihood mean that you’ll arrive tired, you’ll potentially break a sweat and a finger nail or two setting up, and then you’ve got to stand and speak incessantly and for hours and hours appearing constantly happy throughout no matter how much your feet and back may ache or how full your bladder is. So take water. Take some suitable food snacks (you may not have time to get away from your stall to purchase food at the event). Having a rubber mat to stand on helps your legs, and insulates your feet from cold cement floors. Do not take a chair as sitting down makes you unavailable to customers who are standing. A high stool can work well if it fits into your stall as it lets you rest you legs but keeps you at customer eye height. The darkest time is the minutes or occasionally hours before the first sale. It happens to everyone. Smile and stay radiantly positive because not smiling will not help. While you’re smiling radiantly, use that time to take an interest in what other stallholders are doing and learn from them. For example, we learnt a great deal one Friday and Saturday at Undercurrent Design Market (National Portrait Gallery, Canberra) from watching Matt Thompson (Mattt Bags) and Ben Mason (Rebound Books). They are exemplars of alert, attentive and available posture; eternally ready and available to engage positively with customers and to introduce them to their products. We talked about what we’d learned into the late hours that night driving to Melbourne to participate in Markit@FedSquare on the Sunday and then enjoyed laughing at ourselves all day as we watched ourselves practice the great customer service standards exhibited by Matt and Ben. Thanks guys! Smile. All day. At absolutely everyone. Smile, and have fun! All photographs courtesy Kitty Came Home.